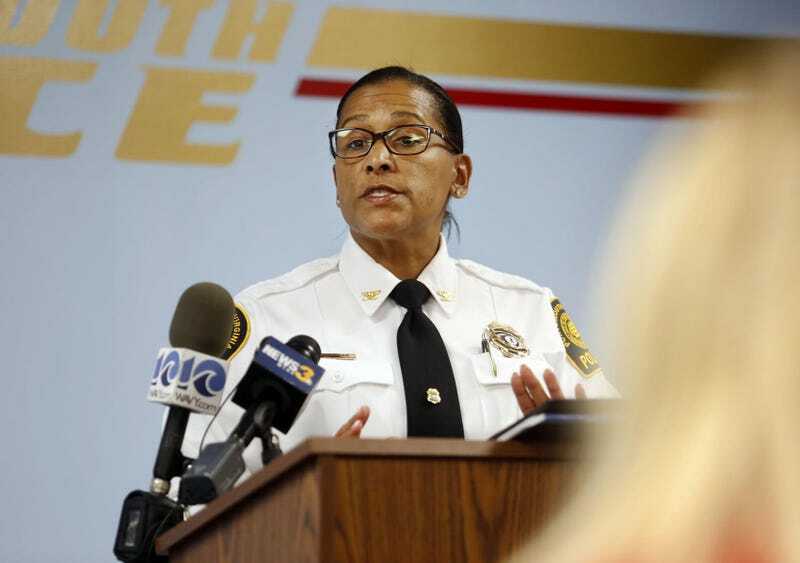 Former Portsmouth Police Chief Tonya Chapman—the first black woman to lead a city police department in the state of Virginia—said in a statement on Monday that she was forced to resign after attempting to eradicate the racism and discriminatory behavior within her department. On March 18, Chapman abruptly resigned after three years on the job under the direction of City Manager Lydia Pettis Patton, who requested Chapman sign a pre-written resignation letter “under duress” and “without warning” or face termination. As severance, Chapman said she was offered two months pay. “Citizens of Portsmouth, I ask you, if I had done anything to warrant my immediate dismissal, would I have been offered a severance?” she wrote in her statement. Chapman declined to elaborate further on what prompted her forced resignation but suggested it was motivated by “members of a highly influential fraternal organization” who had tried for years to instill a lack of confidence in her capabilities. She revealed that some of the individuals in question were recently disciplined for unnamed policy violations. Representatives from the National Organization of Black Law Enforcement Executives and the Portsmouth Chapter of the NAACP are both looking into rectifying the matter, while Chapman isn’t going down without a fight. In her statement, she issued a formal request for her severance to be extended to six months, as well as a positive recommendation for future employment citing a 52-percent drop in homicides in 2016, among other accomplishments during her tenure.